We all have a story about who we are. Our past lived experiences is often where the narrative of this story comes from. What people say and how they perceive us is most times the foundation of this story. Who we are is not defined but what happened to us. When we place value in the perceptions of others, we show up in our lives from a place of dis-empowerment. Yes we are imperfect and yes we have made mistakes, but that does not make us less worthy! Be brave ! Engage with like-minded women! Explore, unpack and learn through collective sharing! In this content rich workshop series we will unpack our uniqueness and our imperfections. 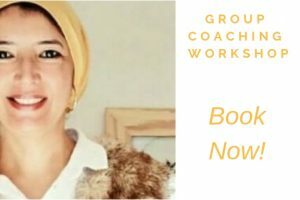 Book for the full series of workshops. Price R1750 for full series payable in two parts i.e R875 by 25th January 2019 & R875 by 25th February 2019 . Workshops will be presented in the comfortable coaching & training rooms at 47 Cleveland Road Claremont. Stationery will be provided. Limited spots available. Parenting is messy, it’s hard and you can’t control it. Let go of your idea of the perfect parent, learn a new way of engaging with your child/ren that allows you to show them your vulnerabilities and your fears. Create an emotional safe space for them to thrive by knowing your own emotional triggers. This workshop is about digging deep and learning new strategies for defining healthy boundaries for ourselves and our children. It’s about exploring and defining expectation with our children and understanding how that differs from goals. It’s about accepting our imperfections as parents and loving ourselves and our children regardless.